Surprise! : The principal characteristics used to distinguish trees are features of their leaves. Who knew? 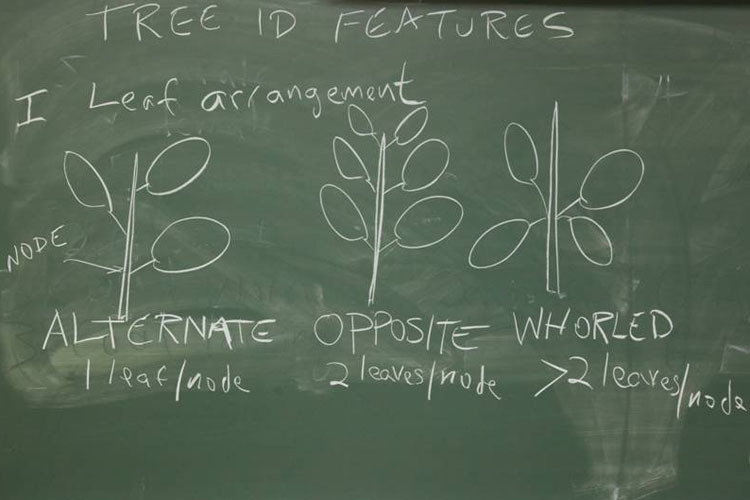 First and foremost, we have LEAF ARRANGEMENT, which tells us how many leaves are attached at each NODE (i.e., the point along the stem where leaves are attached). There are three types of leaf arrangement: alternate, opposite, and whorled. Another leafy distinction has to do with whether or not the leaf consists of a single unbroken blade, or if instead it’s fully and completely divided into separate leaflets. 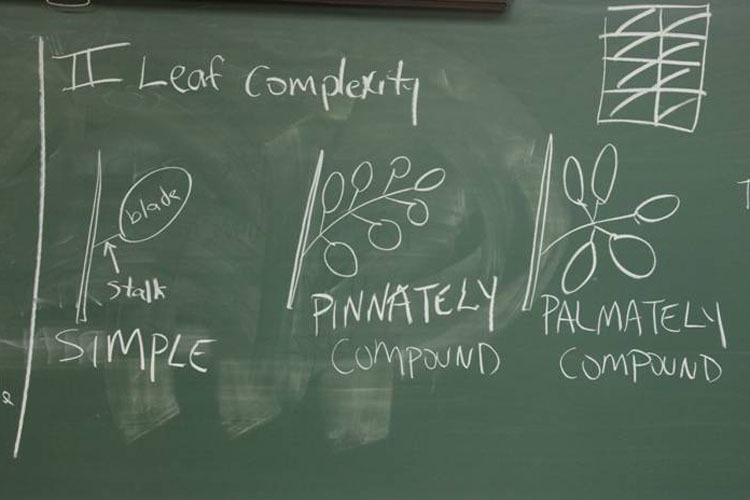 The set of traits is called LEAF COMPLEXITY, and comes in two general types: undivided leaves are termed “simple,” and the divided ones, “compound.” Compound leaves can either be pinnate (leaflets arranged along the leafstalk), palmate (all attached at the same point), trifoliolate (like poison-ivy) or twice compound (leaflets themselves divided into sub-leaflets). Leaf complexity varies depending on whether leaves are fully and completely divided into leaflets. Follow the links on the right to learn about individual trees (8 fairly common Ohio genera).